Bermuda /bɜrˈmjuːdə/, also referred to in legal documents as the Bermudas or Somers Isles is a British Overseas Territory in the North Atlantic Ocean. Its capital city is Hamilton. The first European to discover Bermuda was the Spanish sea captain Juan de Bermúdez in 1503, after whom the islands are named. He claimed the apparently uninhabited islands for the Spanish Empire, and although he paid two visits to the archipelago, Bermúdez never landed on the islands, not wishing to risk crossing the dangerous reef surrounding them. In 1609, the English Virginia Company, which had established Virginia and Jamestown on the North American continent two years earlier, established a settlement. 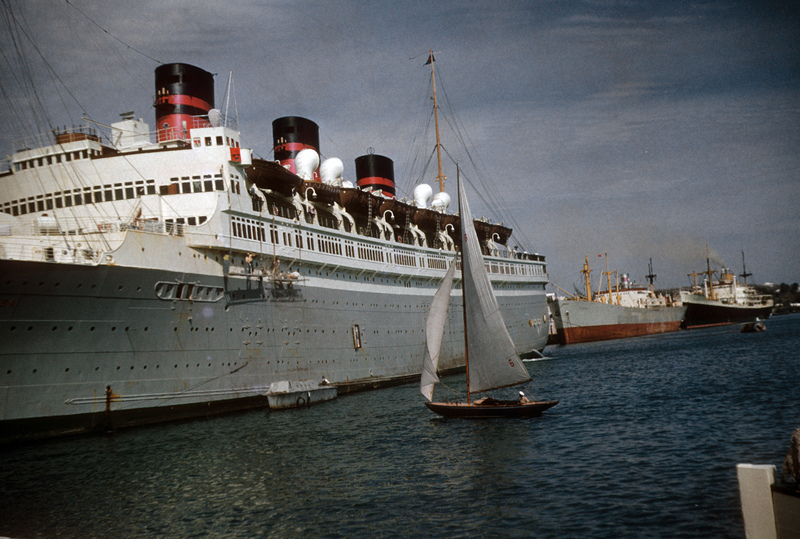 It was founded in the aftermath of a hurricane, when the crew of the sinking Sea Venture steered the ship onto rocks. In 1610, all but three of the survivors of the Sea Venture sailed on to Jamestown. Among them was John Rolfe, whose wife and child died and were buried in Bermuda. Later in Jamestown he married Pocahontas, a daughter of the powerful Powhatan, leader of a large confederation of about 30 Algonquian-speaking tribes in coastal Virginia. In 1612, the English began intentional settlement of Bermuda with the arrival of the ship HMS Plough. 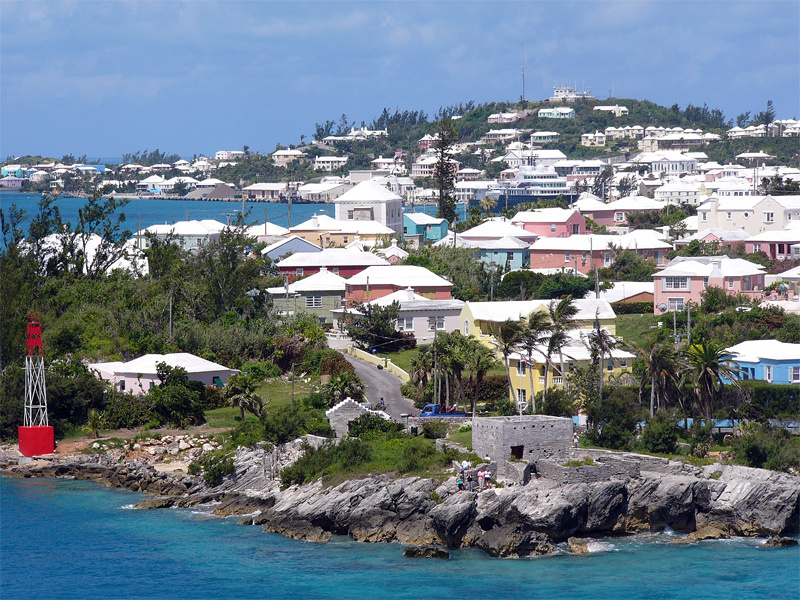 St. George’s was settled that year and designated as Bermuda’s first capital. It is the oldest continually inhabited English town in the New World. In 1615, the colony was passed to a new company, the Somers Isles Company, named after the admiral who saved his passengers from the Sea Venture. 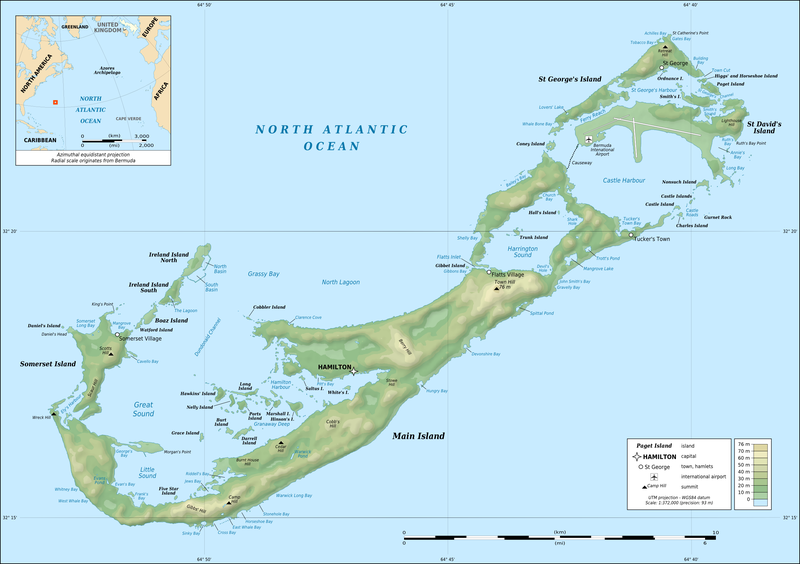 Many Virginian place names refer to the archipelago, such as Bermuda City, and Bermuda Hundred. The first English coins to circulate in North America were struck in Bermuda. Because of its limited land area, Bermuda has had much difficulty with over-population. 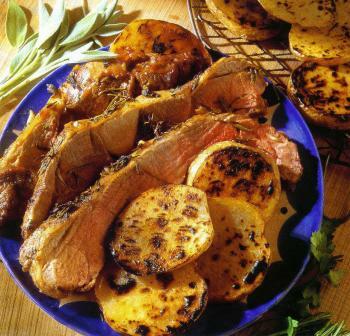 In the first two centuries of settlement, it relied on steady human emigration to keep the population manageable. As Great Britain displaced Spain as the dominant European imperial power, it opened up more land for colonial development. A steady trickle of outward migration continued, with seafaring the only real industry in the early decades. By the end of the 18th century, at least a third of the island’s manpower was at sea at any one time. The archipelago’s limited land area and resources led to the creation of what may be the earliest conservation laws of the New World. In 1616 and 1620 acts were passed banning the hunting of certain birds and young tortoises. In 1649, the English Civil War raged and King Charles I was beheaded in Whitehall, London. In Bermuda, related tensions resulted in civil war on the island; it was ended by militias. 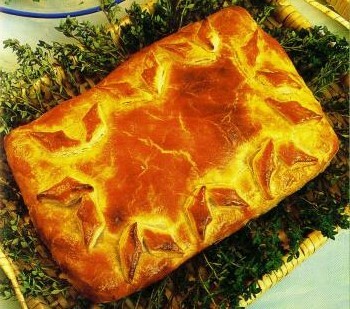 The majority of colonists developed a strong sense of devotion to the Crown. Dissenters, such as Puritans and independents, were pushed to the Bahamas. In the 17th century, the Somers Isles Company suppressed shipbuilding, as it needed Bermudians to farm to generate income from the land. 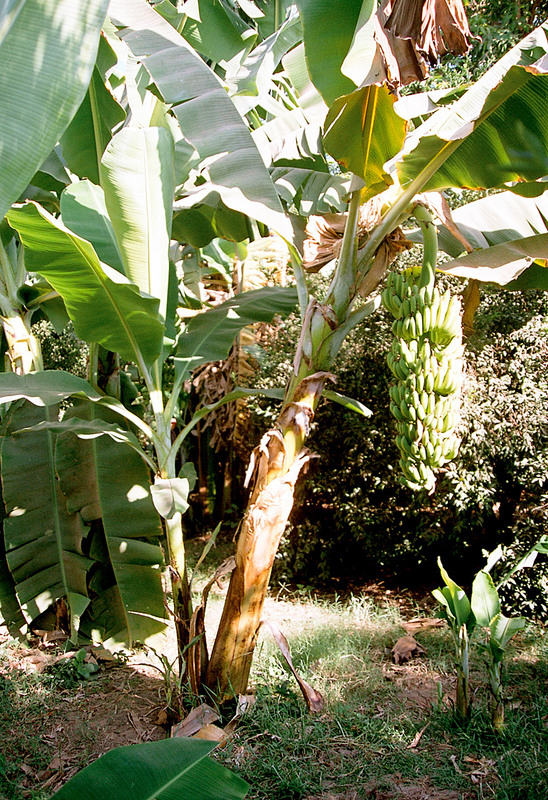 Agricultural production met with limited success, however. The Bermuda cedar boxes used to ship tobacco to England were reportedly worth more than their contents. The colony of Virginia far surpassed Bermuda in both quality and quantity of tobacco produced. Bermudians began to turn to maritime trades relatively early in the 17th century, but the Somers Isles Company used all its authority to suppress turning away from agriculture. This interference led to the islanders demanding, and receiving, the revocation of the Company’s charter in 1684, and the Company was dissolved. 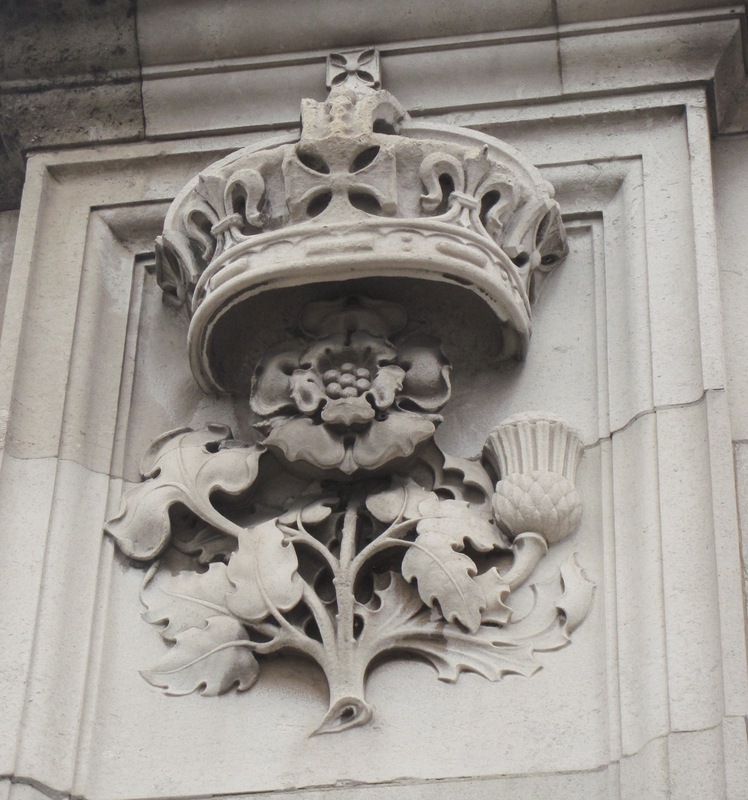 The English Crown took over administration and the islands became a British colony following the 1707 unification of the parliaments of Scotland and England, which created the Kingdom of Great Britain. Bermudians rapidly abandoned agriculture for shipbuilding, replanting farmland with the native juniper trees that grew thickly over the whole island. Establishing effective control over the Turks Islands, Bermudians deforested their landscape to begin the salt trade. 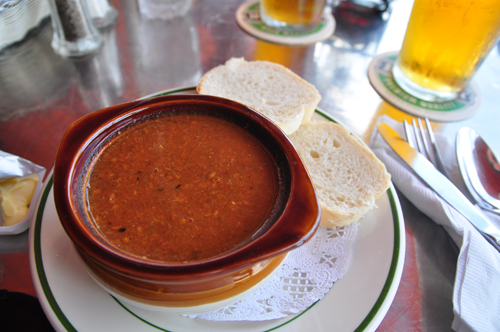 It became the world’s largest and remained the cornerstone of Bermuda’s economy for the next century. 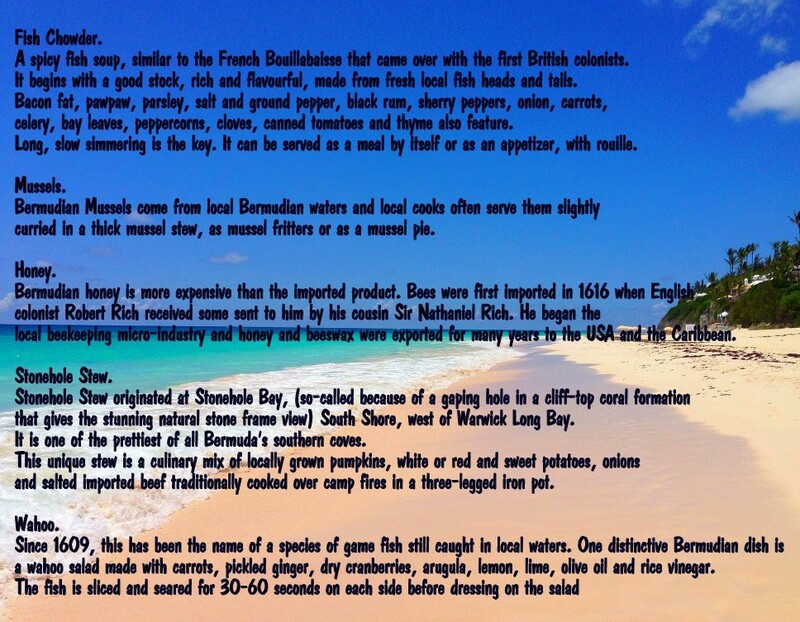 Bermudian sailors and merchants relied on more than export of salt, however. They vigorously pursued whaling, privateering, and the merchant trade. Vessels sailed the normal shipping routes, but were required to engage an enemy vessel no matter the size or strength. As a result many ships were destroyed. The Bermuda sloop became highly regarded for speed and manoeuverability. The Bermuda sloop HMS Pickle, one of the fastest vessels in the Royal Navy, carried the news of the victory at Trafalgar and the death of Admiral Nelson to England. 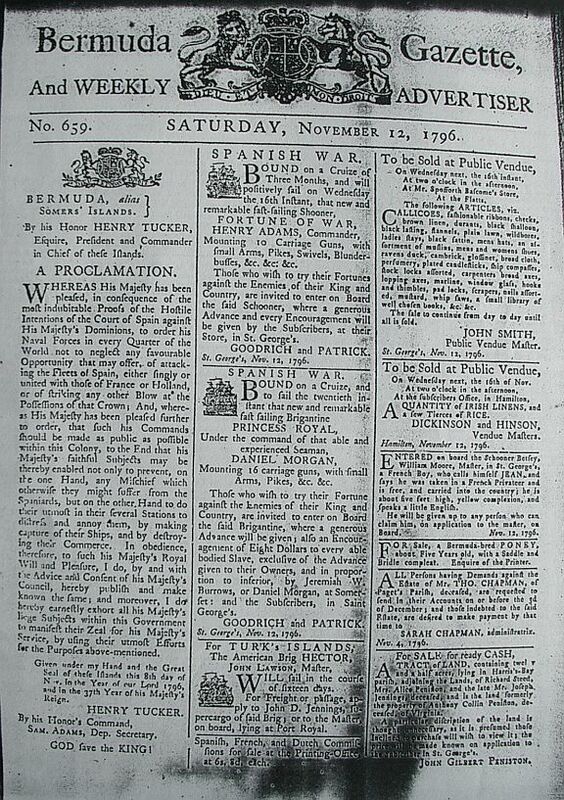 American independence led to great changes for Bermuda. 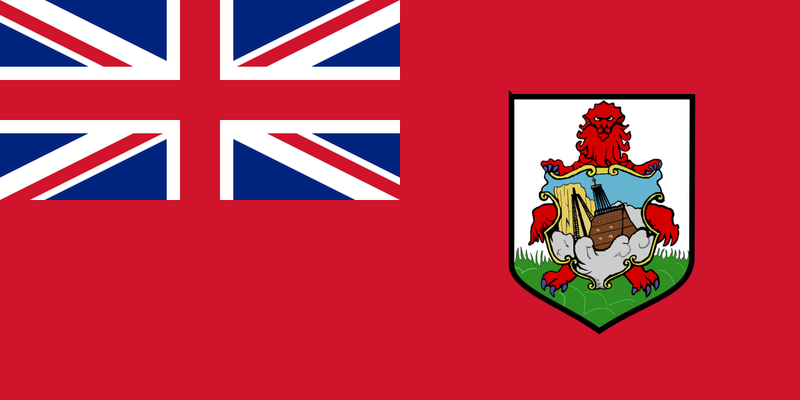 Prior to the war, with no useful landmass or natural resources, Bermuda was largely ignored and left to its own devices by the London government. By being so deeply involved in trade, Bermuda merchants and financiers had played roles out of proportion to the colony’s size in relation to the development of the Triangle Trade, and the trans-Atlantic British Empire. Had Bermuda not been so remote from the American coastline it would almost certainly have been the fourteenth colony to join the rebellion. The close economic, family, and historical ties ensured Bermudians were strongly sympathetic with the rebels at the start of the War. They supplied the rebels with ships, salt and gunpowder and as the war progressed, economic realities caused Bermudians to turn to privateering against the Americans. Following the war, the primary leg of the Bermudian economy became defence. In 1816, James Arnold, the son of Benedict Arnold, fortified Bermuda’s Royal Naval Dockyard against possible US attacks. Today, the National Museum of Bermuda, which incorporates the “Maritime Museum”, occupies the Keep of the Royal Naval Dockyard, including the Commissioner’s House, and exhibits artefacts of the base’s military history. As a result of Bermuda’s proximity to the southeastern US coast, during the American Civil War Confederate States blockade runners used it as a base for runs to the South to evade Union naval vessels and deliver much needed war goods from England. The old Globe Hotel in St George’s, which was a centre of intrigue for Confederate agents, is preserved as a public museum. Even after tourism began later in the 19th century, Bermuda remained, in the eyes of London, a base more than a colony. 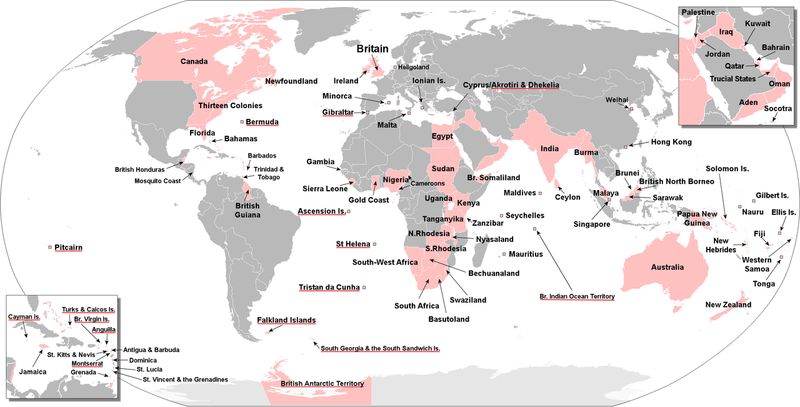 The Crown strengthened its political and economic ties to Bermuda, and the colony’s independence on the world stage was diminished. By the end of the 19th century, except for naval and military facilities, Bermuda was considered a quiet, rustic backwater that had gradually been superseded by the development of the English-speaking Atlantic world. 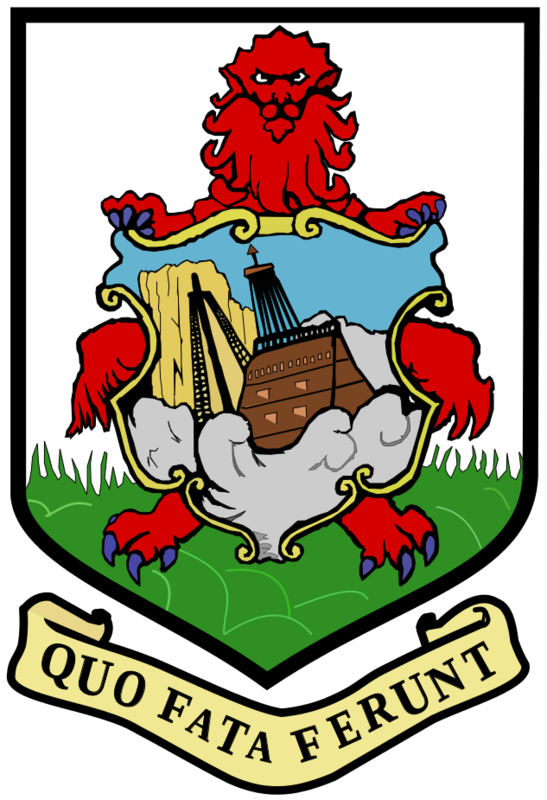 After 1949, when Newfoundland became part of Canada, Bermuda was automatically ranked as the oldest remaining British Overseas Territory. 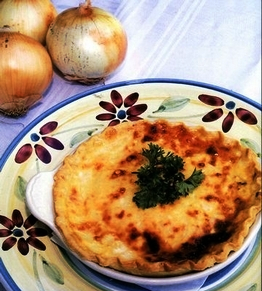 This entry was posted in European Cuisine and tagged fish chowder, shellfish. Bookmark the permalink.